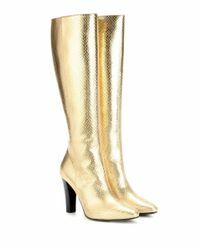 See more Leather Knee boots. We check over 450 stores daily and we last saw this product for $1,186 at Mytheresa. 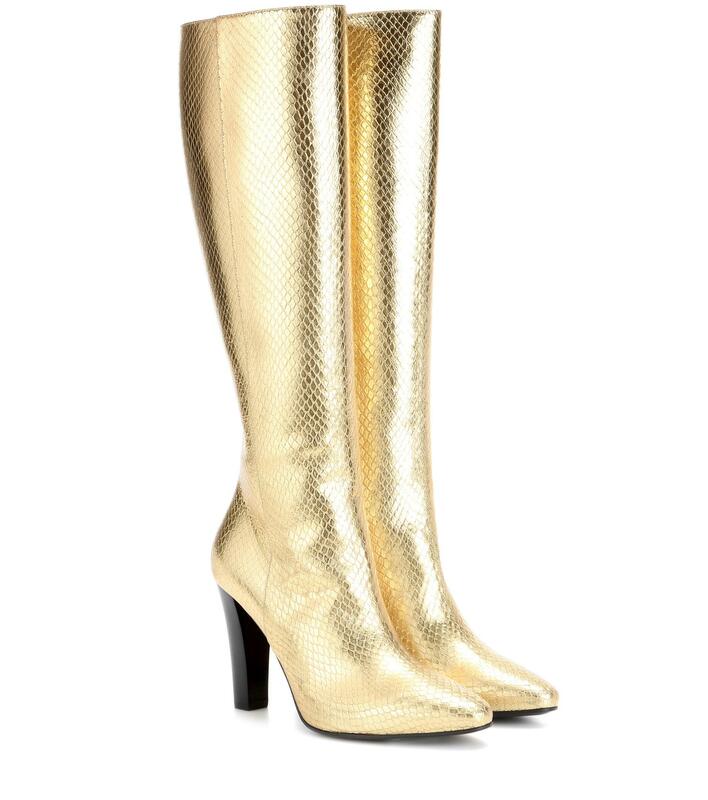 Saint Laurent invites 70s opulence into this pair of Lily 95 boots. Crafted from eye-catching gold-toned leather that's snakeskin-embossed, they feature a round toe and sit on a black heel. Let them complement a midi leather skirt.